Have you ever read a book and afterwards just felt deep gratitude for that book and/or author for adding that experience to your life? Maybe it inspired you, or educated you, or made you feel sad or glad or fearful or tearful. 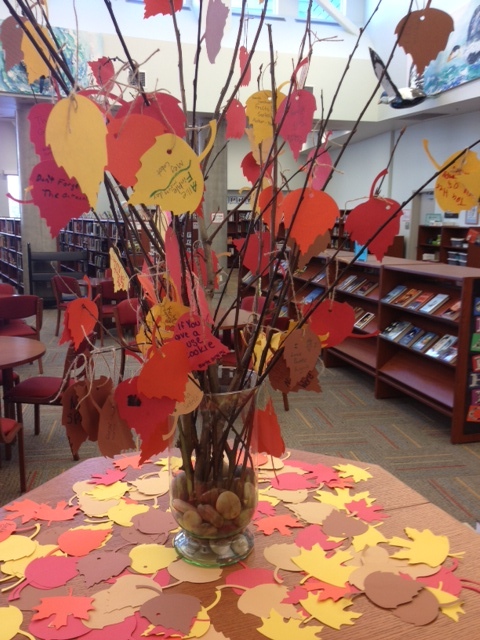 During this Thanksgiving season we are giving students and staff a place to share those thoughts. 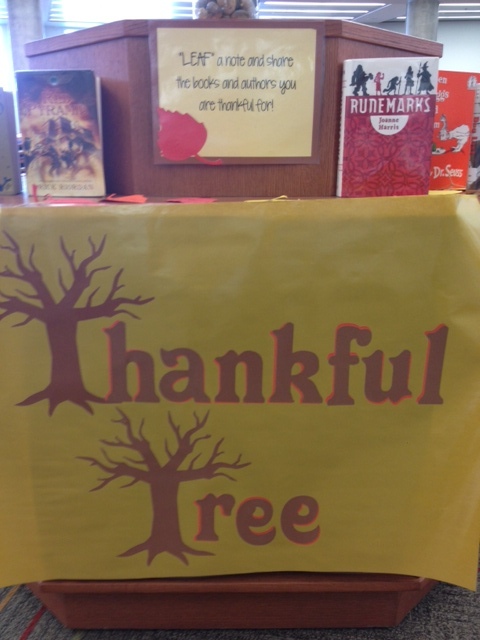 Our “Thankful Tree” invites all to “Leaf” a note (on die-cut leaves) sharing the author or book they are thankful for this season. 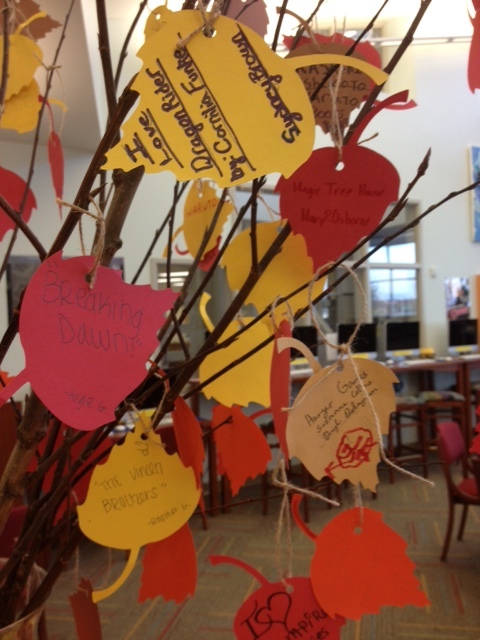 If the book is a Young Adult book we have at our library, we featured the book on the display. Otherwise, the book titles are just tied on some sticks stuck in a vase. The kids love an interactive display like this! 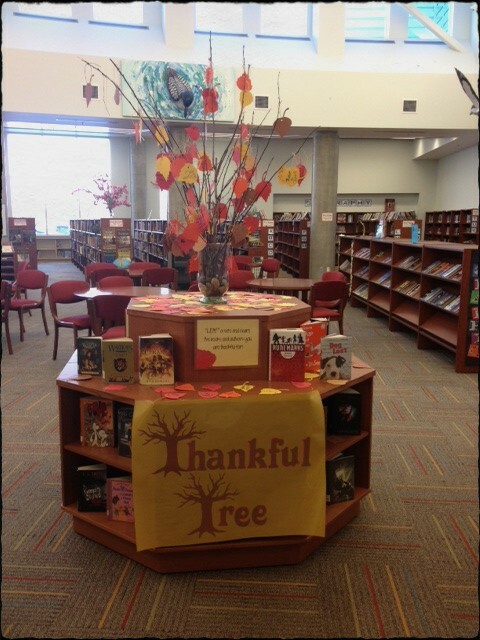 So what books are you thankful for? Previous Previous post: What’s Cookin’?